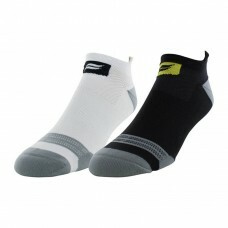 Made with COOLMAX Polyester moisture management technology and constructed for superior fit. The Sole Running Select is an optimal choice for anyone racking up the miles. Features: non-binding top to provide comfort, banded instep for secure fit and arch comfort, mesh venting for breathability, seamless toe and a deep heel pocket that minimizes movement and friction. Comes in 2 pack. Fits sizes: 8-12.5 (men's).